Star Trek - Infinite Space gets its first trailer today, giving us a glimpse of what the free-to-play game hopes to deliver. The Galaxy at War trailer launched along side the preview site for the upcoming game, which is set in the Star Trek: Deep Space Nine time line. Gameforge promises to update the site regularly with news and specials. This game could be just about the space battles and I'd love it. But the developer say there be "more elements to the game." "It will offer a deep gaming experience," said Christian Braun, Executive Producer with Gameforge. 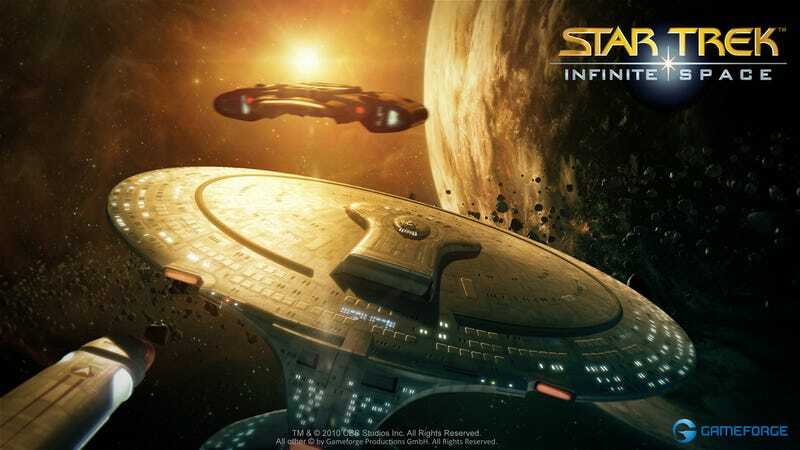 Star Trek - Infinite Space from Gameforge on Vimeo.